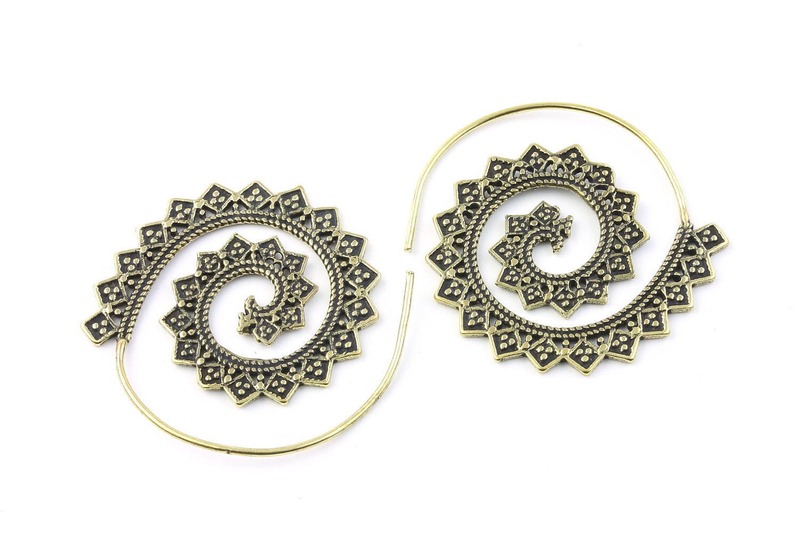 Amazing spiral brass earrings with intricate design. Beautiful unique spiral shape earrings. Lovely spiral design sits in the ear. Love these Night Fire earrings! I get compliments every time I wear them. Beautiful! I can’t wait to get more jewelry from WEARRAW!